A new law that forces Ontario motorists to wait at crossovers until pedestrians have completely cleared the roadway is creating confusion. 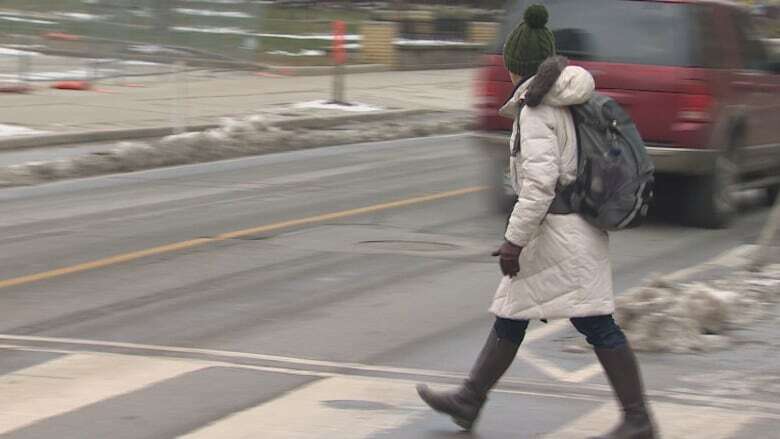 A new law intended to make Ontario's roads safer for pedestrians is instead causing confusion among both motorists and those attempting to cross the street in front of them. As of Jan. 1, drivers stopped at a crossover must wait until pedestrians have stepped completely off the road before driving through the intersection. A crossover is a pedestrian crossing where signs — and in many cases overhead flashing yellow lights — alert drivers to come to a stop. A crosswalk on the other hand is used at stop signs and traffic lights in Ontario. Crosswalks often have a white walking symbol and a flashing orange hand. The new law also applies to crosswalks when a school crossing guard is present. Breaking it could costs motorists up to $500 in fines. The problem is that few people appear to know the difference between a crossover and a crosswalk. Ottawa police Sgt. Mark Gatien, who's responsible for traffic enforcement, says he's been busy responding to questions from confused residents, both on the phone and on social media. "They're asking questions about crosswalks, crossovers. 'What do I do here? What don't I do here? What about this crosswalk?'" said Gatien. The City of Ottawa doesn't currently have any crossovers, but a pilot project approved in September 2015 will see the city install more than 180 of them by 2018, beginning in June 2016. A large number of the crossovers will be installed at roundabouts, where currently pedestrians must yield to vehicles. According to a city report tabled last September, the city installed a "large number" of crossovers back in the 1960s. But by the 1970s, the crossovers "were questioned in terms of safety." By the late 1990s, the city had removed all of its crossovers, replacing many of them with traffic lights. "Now that the new law is in place and we have some more enforcement tools available to us, the crossovers will be coming back to Ottawa as of this summer time," said Gatien.